Are you thinking about buying a boat? That’s great news and we highly recommend it. Don’t pet that pit bull, don’t put anything up your nose and don’t take that 6th shot of vodka. For all of your life, you have been given some pretty solid advice, of which you basically ignored. Which is sad because you could have avoided several unsatisfying outcomes. We get it, you like doing things your way and you rarely pay attention to the advice of others. But if there is once in your life that you don’t ignore advice, it should be when you decide to buy a boat. You can do your homework and study all you like, but when it comes to buying a boat, experience is always best. And if you have never bought a boat before, listen to what boat owners have to say. Lillipad Marine, Your source for diving boards for boats, offers boat buying tips. A good boat show is where you will see all types and sizes of boats. It’s a great way to get an idea of what kind of boat you want to get without any pressure from a commission-happy salesman. Make a list of the features you would like to have in your boat. And think about what you want to do on your boat. Answering these questions will give you a pretty good idea what type of boat you need to buy. No doubt you will be visiting a number of local dealers and perusing the internet and other sources for boats on sale. It can get confusing at some point sorting through in your mind the many boats you have seen. This is why it is a good idea to bring a notepad with you and take notes. This way, you are better organized and less likely to get confused. The items included with your boat purchase depends on the type of boat you buy and the deal you can make. Sellers should provide a list of the equipment so you have an idea of what you are getting. The cost of the boat is just a part of what you can expect to spend buying a boat. 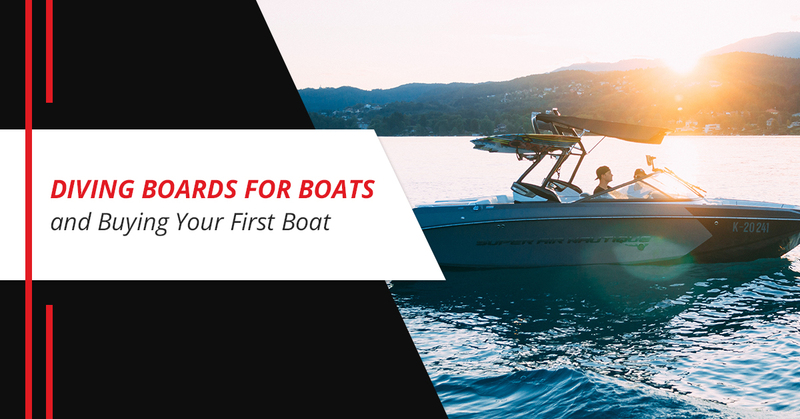 A common boat-buying mistake is spending too much of your allotted money on the actual boat and not having enough cash for everything else you need to actually go boating. A boat stuck on the dock provides no joy whatsoever. You want a big boat, we get that. But with a bigger boat comes more maintenance and other costs. Make sure you are able to take on the added expense of a big boat. You have budgeted out a boat, electronics, storage and even a big screen television, but you totally forgot about safety gear. Looks like you will have to take that television back. Lastly, make sure you budget for a diving board from Lillipad Marine. Visit our website to learn more.